Hmm. I wonder why they’re so happy? The third week of Advent is upon us. 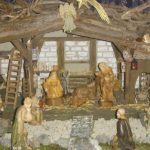 Just as our faith in God’s love, and the hope He promised, begins to waver, we light another candle, and its flickering glow reveals a parade of scruffy-looking nerfherders shepherds trotting toward Bethlehem, their voices brimming with joy and excitement. Most of you are probably well-familiar with this story. 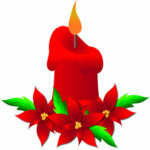 As I was thinking about it today, I realized it also follows the pattern of the Advent wreath. Come along. 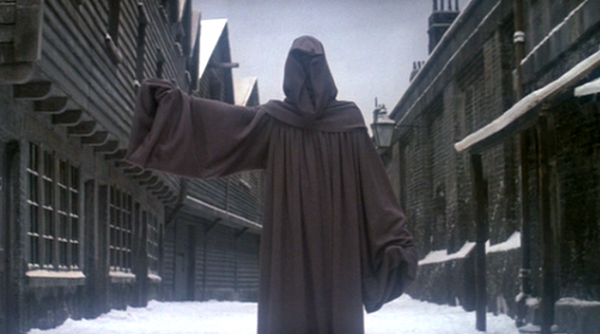 Today, I’m the Ghost of Speculative Christmas. Rise, and walk with me. He's not seeing double. This is called "dramatic license." 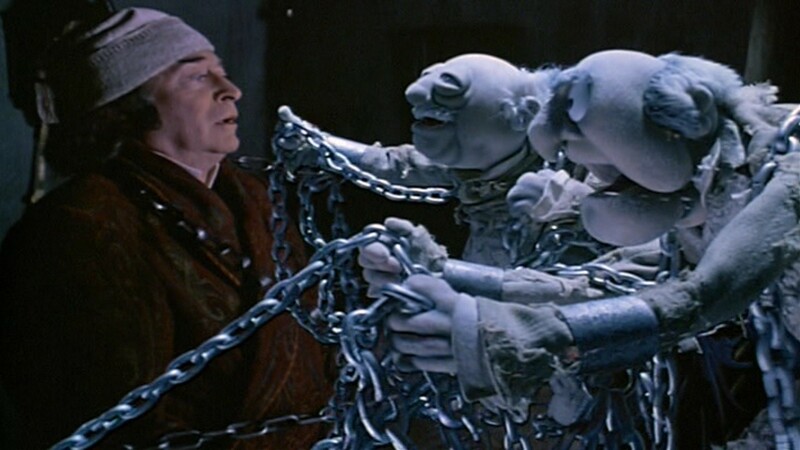 One Christmas Eve, after a long, hard day of evicting widows and orphans and counting his gold sovereigns, Scrooge retires to his drafty apartments with a bowl of gruel, and he’s confronted by the horrifying spectre of his old business partner, Jacob Marley. 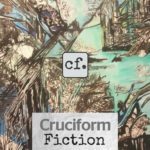 Marley is doomed to an eternity of wandering about the world, without the power to intervene for good, and he’s burdened by an enormous length of ectoplasmic chain—the weight of his sin. 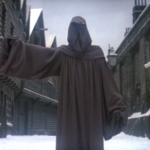 He warns Scrooge that a similar fate awaits him if he does not change his ways, but a fragile hope remains. 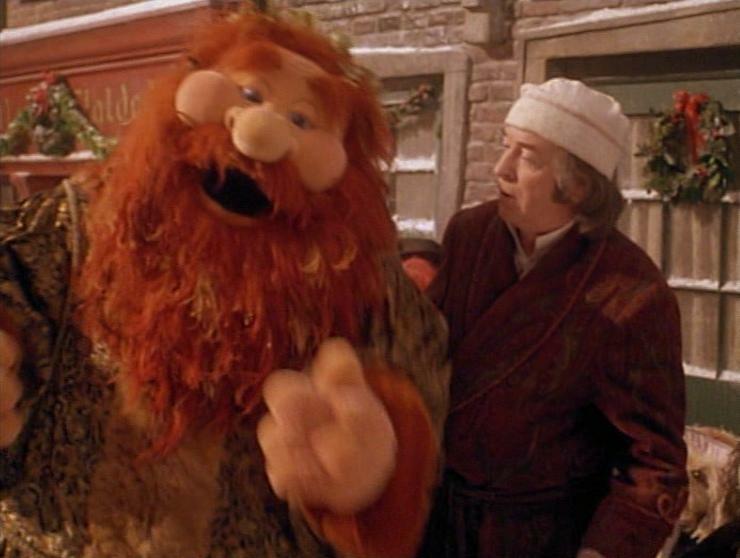 To that end, Marley has arranged for Scrooge to be haunted on three successive nights by three spirits, who will lead him down the path to righteousness. "Flying's easy. Landing is more difficult." He's the strong, silent type. 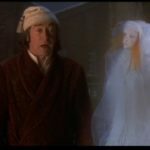 Peace seems an odd theme for Dickens’ final spirit, but by the time he appears, Scrooge is beginning to understand the purpose and value of these strange visitations and accepts the spirit’s guidance without protest. He has come to terms with the reality of his plight and his role in creating his own misery. However, he learns that merely acquiescing to the truth isn’t enough—the shadows of the future still forecast his ultimate despair and doom. 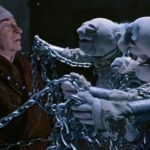 Scrooge’s soul will never experience peace without a change of heart. He must repent. The shattering revelation of his own mortality, near at hand, inscribed upon a tombstone, provides the crisis that prompts his transformation. 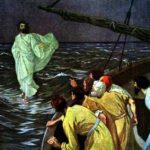 He awakens to a brilliant Christmas morning, amazed to discover his journeys have taken only a single night, and grateful he still has time to make good on his promise to reform: I am here — the shadows of the things that would have been, may be dispelled. They will be. I know they will! "I'd like to make a large donation to charity...and offer you this cozy scarf." 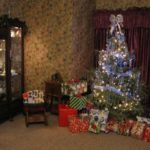 UPDATE: Stephen has a great post in our archives that offers more insights and historical background on Dickens’ beloved Christmas tale. Check it out here. 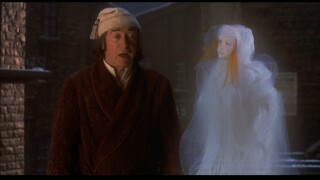 Considering all the adaptations of A Christmas Carol, this is definately an interesting point. Even though I’ve seen the advent wreath, I never knew that each candle has a meaning, which makes it much more interesting. We’ve renewed our family tradition of incorporating the Advent wreath into our Christmas devotions this year, and I keep running into reminders of it wherever I turn. 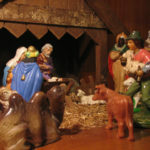 There are so many layers to the symbolism–for example, I was never really clear on the reason the third candle is usually pink, but discovered this year that it marks the transition from self-assessment and repentance in preparation for the coming of the King (traditionally symbolized by the color purple) to joy and celebration as Jesus’ birth approaches. 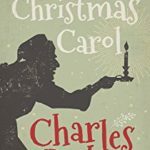 Fred, this is a lovely “lesson” showing why Dickens’ A Christmas Carol is so ageless. 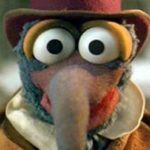 I clicked over here because of the Muppet version being my personal favorite, and I think that’s because, while taking some obvious “dramatic license”, it’s very true to Mr. Dickens’ intent and spirit and has a LOT more direct quotes from Dickens than any other “children’s” version I know of. Before the Muppets, I found this tale either silly (Mickey Mouse et al) or too dark and depressing (just about every other live action dramatic version) even when it got to the end. 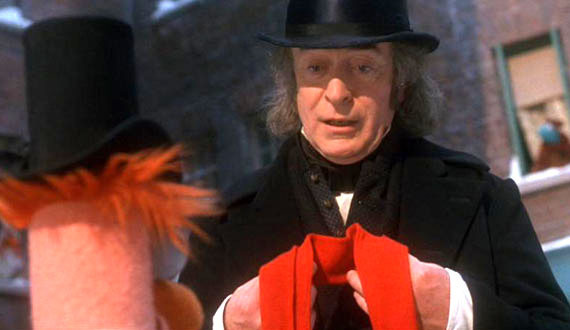 Michael Caine is the first actor to make me see Scrooge as sympathetic and pitiful, someone I could RELATE to instead of hate and write off. That makes the story PERSONAL and oh so much more meaningful. I have this movie on DVD and I watch it at least once every Christmas season. I find myself singing the songs from this movie as much as any traditional carols. And Belle’s song literally brings tears to my eyes every doggoned time I watch it. Thanks for the post. They really did a masterful job of capturing the story on screen, making it accessible and entertaining for viewers of all ages. As you noted, they respected the original text and its wonderful language, and they harmonized the Muppet humor with Dickens’ wry tone. 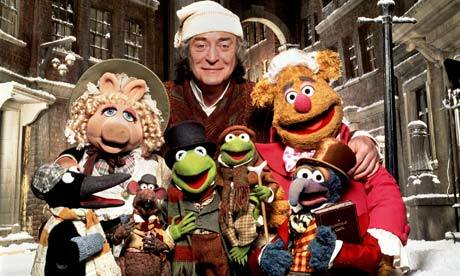 And I agree the casting was perfect, humans and Muppets alike. Well done, Fred! God bless us, everyone–yes! 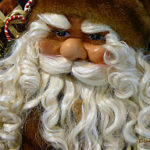 You deserve a gift–sorry that it’s not the best! but mulled over them quite a lot. A lovely gift for Christmastime…the sentiment’s sweet, and so is the rhyme! I read A Christmas Carol again this Christmas while working on a homage to it. 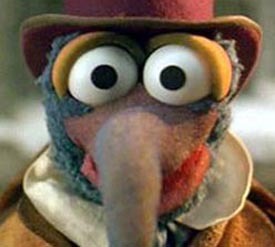 Until then, I hadn’t realized how well the Muppets had captured it. 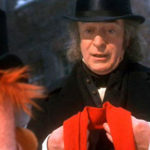 The Disney version made Scrooge’s nephew out to be an idiot, when Dickens had obviously intended him to be the benevolent equal to Scrooge–intelligent, but generous. I really loved the parallel to advent that you pulled out of this. Thanks so much for taking the time to share it. Fred, thanks for walking us through the story. 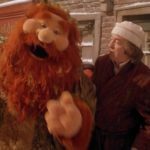 For a number of years, I made A Christmas Carol, in some version or other, part of my Christmas tradition. Your delightful recap paralleling the Advent season reminds me why. You vividly brought back the scenes from the story. Thanks so much.